U.S., Canadian Executives Skittish About Traveling To China The arrest of Huawei executive Meng Wanzhou, followed by China's detention of two Canadians, escalated trade and security tensions that are now leading to travel jitters. The arrest of Huawei executive Meng Wanzhou, followed by China's detention of two Canadians, escalated trade and security tensions that are now leading to travel jitters. Travel tensions are running especially high after the Dec. 1 arrest of prominent Huawei executive Meng Wanzhou in Canada, which touched off a nationalist uproar in China. The U.S. is seeking her extradition on charges of fraud for allegedly using an unofficial subsidiary to do business with Iran — in violation of U.S. sanctions. Things escalated last week after China detained two Canadian citizens on suspicions of national security violations. Celico says that despite mutual suspicion, neither side wants to hurt its economic interests by provoking their business partners and publicly changing their travel policies. That "could lead to increased tensions between the United States and China," she says. Last week, U.S. tech giant Cisco Systems inadvertently waded into the fray, after an email went out to employees advising the company would curtail non-essential travel to China. Cisco later said the email was sent in error and the company had not changed its policy. But privately, American diplomats and business executives see China's detention of the two Canadians as a retaliatory response to Meng's arrest, says Craig Allen, president of the U.S.-China Business Council. "If we don't recognize that as a possible signal to American interests and to American businesses, then we would be willfully blind," he says. 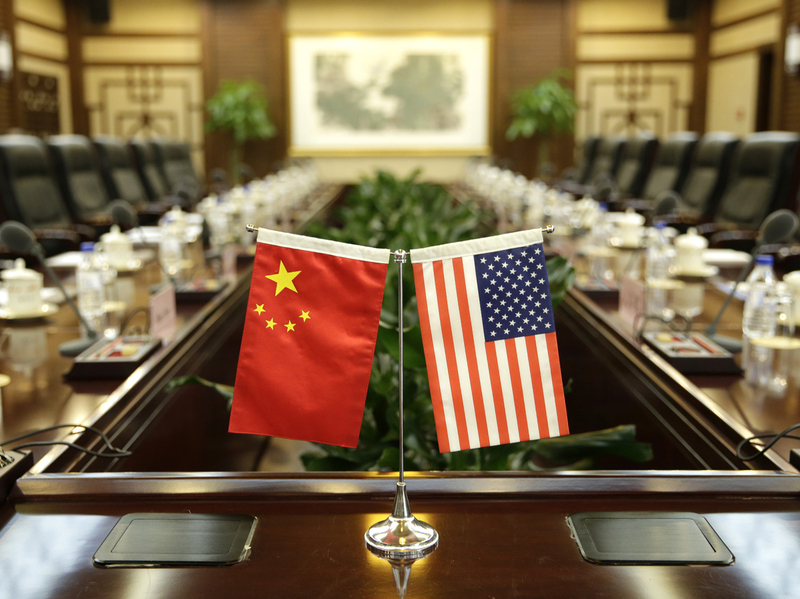 The U.S. has tightened national security reviews of Chinese business activity, from investments to technology purchases. With fresh allegations of state-sponsored cyberattacks (most recently involving Marriott's Starwood guest database), Allen says the grievances between the countries have become confusingly intertwined. "More and more, security is overshadowing the trade debate," he says. "The more it overshadows the trade debate, the more difficult it becomes to resolve the trade issues. And the more it overshadows, the less bilateral trust we have." Brendan O'Reilly is Asia analyst for WorldAware, a company that monitors travel risks. He notes the Chinese government says it detained one of the Canadians because the nonprofit he works for, International Crisis Group, is not registered in China. O'Reilly tells U.S and Canadian clients to make sure they're complying with Chinese regulations before traveling. "The most important thing that they should do is to not give the Chinese authorities any excuse to crack down on them," he says. In the meantime, U.S. companies hope tensions will ease. Celico, the business consultant, says much will depend on how President Trump and President Xi Jinping react. She says de-escalation will require the leaders to keep their countries' criminal matters separate from politics and trade.